Do you use social platforms? Sure you do! You have the habit of uploading your favorite pictures on Facebook and Instagram, don’t you? But do you worry about the security of your social media content? Guess you definitely do. With pCloud you have nothing to worry about, because the platform provides the service of backing up your social media content. 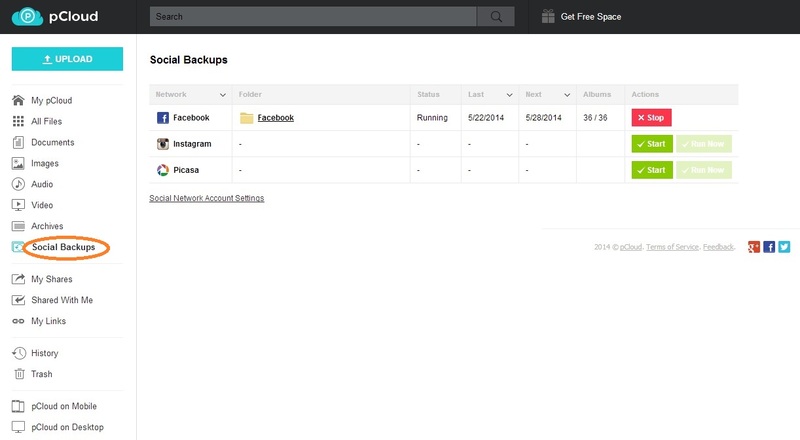 To start the backup, link your Facebook, Instagram and/or Picasa account to your pCloud account and you are good to go. To do that, click on the Start button to the right of your social platform. The login screen of the social media will open, where you need to enter your username and password. When you link your social media account, you can press the Run Now button and your content will be automatically backed up to pCloud. You have the opportunity to stop and resume your backup whenever you like. 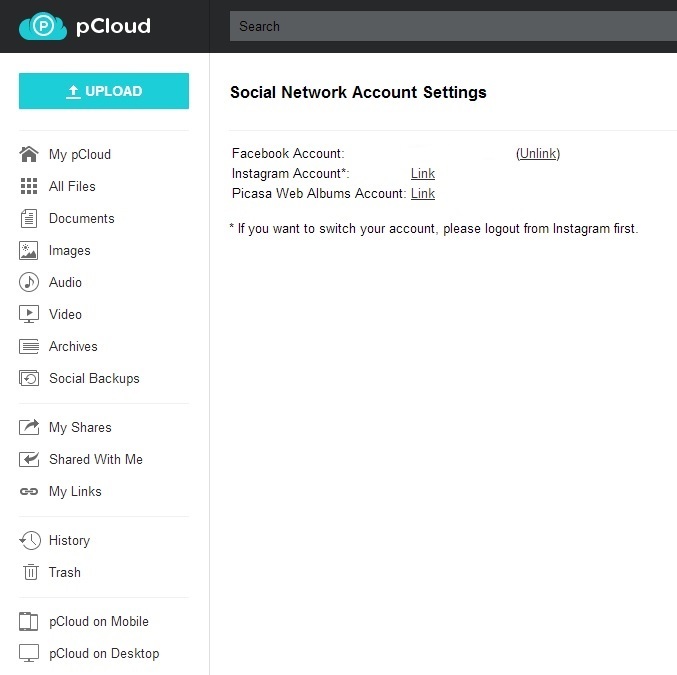 Using this page you can link or unlink your social platforms to/from your pCloud account and this way be in charge of your social media backup. Be safe and secure with this cool feature.